Delicious beef wrapped in fresh lettuce! In a large skillet, brown the ground beef with the minced onion and garlic powder. Drain and return to skillet. Add the soy sauce, sesame oil and ground ginger and stir through. 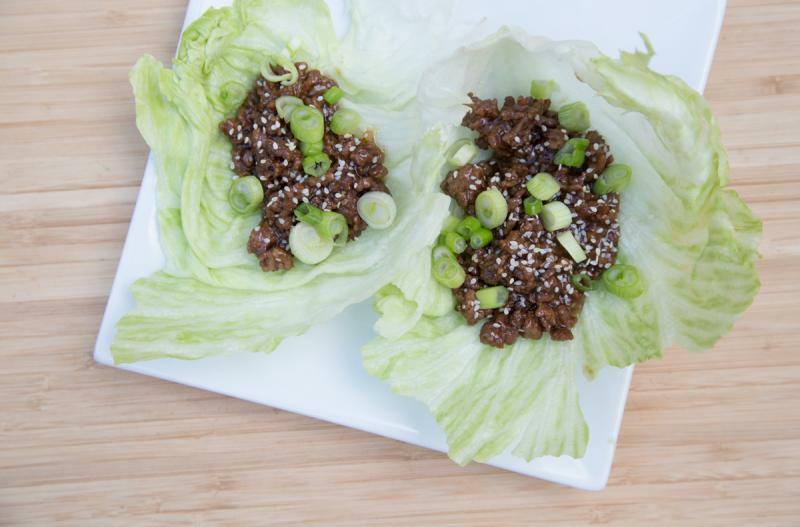 Spoon the seasoned ground beef into large lettuce leaves. 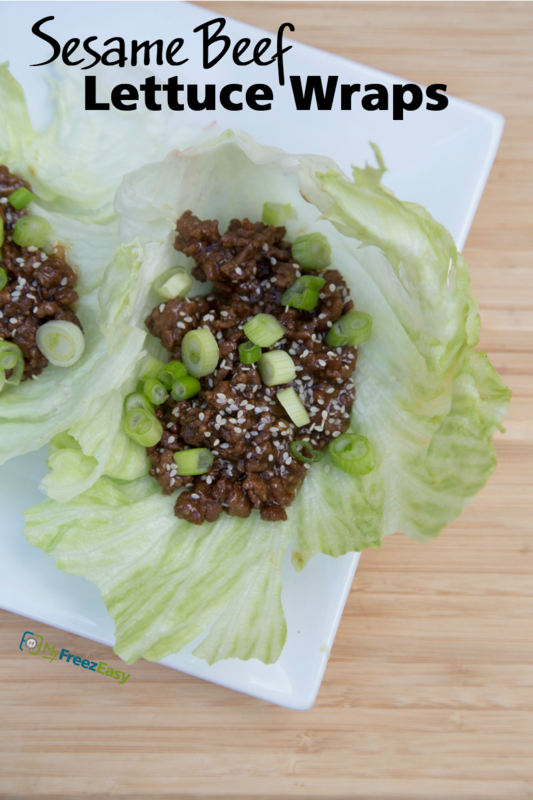 Serve Sesame Beef Lettuce Wraps with veggies and eggrolls. You could replace the soy sauce, sesame oil and ginger with a store bought Sesame Ginger marinade or sauce from the Asian food aisle. Recipe is gluten-free when use gluten-free soy sauce. Thaw and reheat the beef and sauce mixture over low heat in large skillet. Serve in lettuce wraps with garnish, veggies and eggrolls.